Sustainable development is our path to constant growth. Our sustainability initiatives are based on issues reflecting the greatest challenges for responsible progress. The world is in transformation. Public perceptions about environmental and social issues raise new challenges for companies. CBA understands these challenges and forges partnerships to find opportunities for sustainable initiatives. CBA’s material issues represent our vision of Sustainability and our long-term strategy. These initiatives have a positive influence on our governance and management, our relationships with our stakeholders and the decisions we make about processes, products and investments. Our social initiatives are aimed at local development and constant dialogue with the communities of which we are part, creating lasting partnerships and a propitious environment for a sustainable business. We believe that understanding the current challenges of the territories is fundamental for finding long-term solutions. We analyze the localities and design social strategies for development, while at the same time broadening the Company’s social license and competitiveness. CBA contributes to the improvement of education through the Votorantim Partnership for Education (PVE in portuguese). The PVE is a Votorantim’s own methodology, certified as Social Technology by the Banco do Brasil Foundation, which aim impacting IDEB acting through the social mobilization of the communities and the qualification of educational and school management practices. 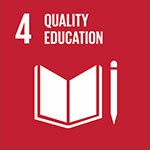 IDEB is the Index of Development of Basic Education, an indicator created by the federal government to measure the quality of teaching in brazilian public schools. A comparative study between municipalities with PVE and a control group, carried out from 2007 to 2013, indicated a 30% increase in Ideb’s evolution in the municipalities that applied the program’s methodology in relation to the others. In 2016 the study indicated an even greater advance: Ideb’s evolution in the municipalities of the program was 38% in Elementary School I (1st to 5th year) and 45% in Elementary School II (6th to 9th year ). The initiative is a partnership with BNDES, the brazilian National Bank for Economic and Social Development, and aims to contribute to the municipalities where CBA operates, such as Alumínio-SP and Muriaé-MG. The methodology acts on two fronts: Management Modernization and Territorial Planning. In Management Modernization it works with fiscal balance – projects of tax, administrative, education, social assistance and health aspects -, with governmental planning, and with transparency and social participation. In Territorial Planning it provides technical support for sectoral plans (Master Plan, Sanitation Plan, Housing or Mobility) and executive projects to guide the public administration to claim resources in development lines. The qualification aims to institutionally strengthen socially constituted organizations, offering technical and management training, as well as modules of financial sustainability and communication. The project focus on raise the organizational maturity of the institution so it can access other forms of incentive like ReDes, for example. Currently this projetct runs in Niquelândia-GO. This initiative stimulates and supports the entrepreneurial development through training, practical experience and support to the implantation of business opportunities in economic segments of local or regional relevance. This project is underway in the municipality of Alumínio-SP. This project aims to strengthen the formation of local networks and stimulates social mobilization actions in the municipalities. Through empowerment, engagement and mobilization, groups of citizens are encouraged and supported to identify common opportunities and dreams. At the same time, through Oasis Experience methodology, communities are led to contribute for solutions, making social empowerment grow. The methodology uses management tools developed by the Votorantim Institute that helps to improve processes and relationships with the communities where CBA is present. The idea is to strengthen risk management and maximize the opportunities generated through dialogue with local actors from different fronts. The Votorantim program for Childhood and Adolescence (VIA in portuguese) aims to contribute to improving the quality of life of children and teenagers. Supported by the brazilian Federal Constitution of 1988 and the Child and Adolescent Statute (ECA in portuguese) of 1990, the program works with children and adolescents with violated or vulnerable rights, through prevention and care strategies promoted by key actors the Social Protection Network and the Rights Guarantee System of the municipalities where CBA operates. Through the transfer of resources to the Municipal Funds for Children and Adolescents (Fumcad in portuguese) and the technical qualification of the groups managing these projects, as well as the public sector policies – Municipal Councils for the Rights of Children and Adolescents in partnership with the Secretariat of Social Assistance and / or with civil society organizations). This initiative is present in the municipalities of Alumínio-SP and Niquelândia-GO.Esta iniciativa está presente nos municípios de Alumínio-SP e Niquelândia-GO. Engagement of the citizens in the protection and promotion of the rights of children and adolescents, culminating in the development of specific strategies for mitigation of the most critical types of violation in the municipality, mainly child sexual exploitation in the context of work, child sexual abuse, child labor, precocious or unwanted pregnancy, among others. Everything we do is in line with the Sustainable Development Goals defined by the United Nations Organization (UNO).